While I’m not one to gravitate towards oil paintings much, I believe they have an exquisite richness about them that fits beautifully in some settings! 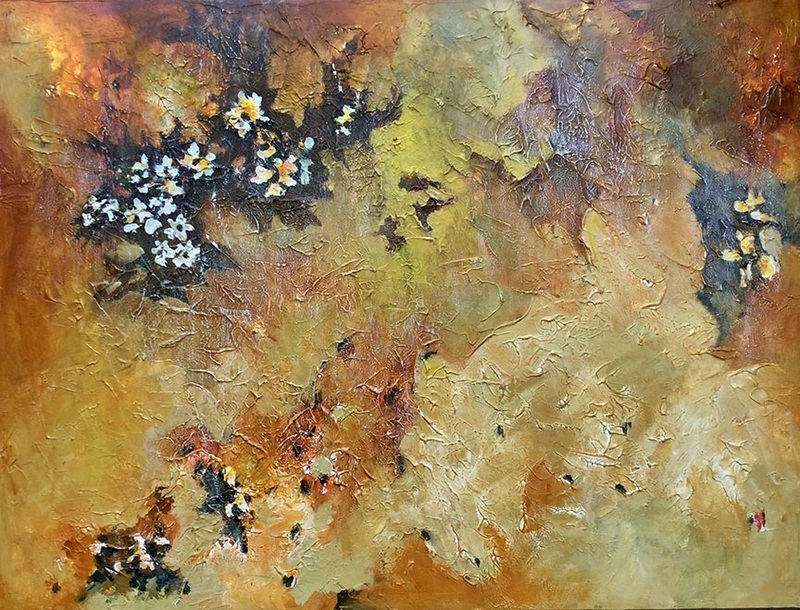 And this one I saw on the World Art community has the beautiful, warm and rich colors of fall with the earthy hues and gold tones that work well in a number of contemporary settings! A great piece that can take centerstage in a living room or a dining room and one that you can design a whole space around! Frame it in a rustic wood frame for some contrast or a bronze frame to play up the colors!